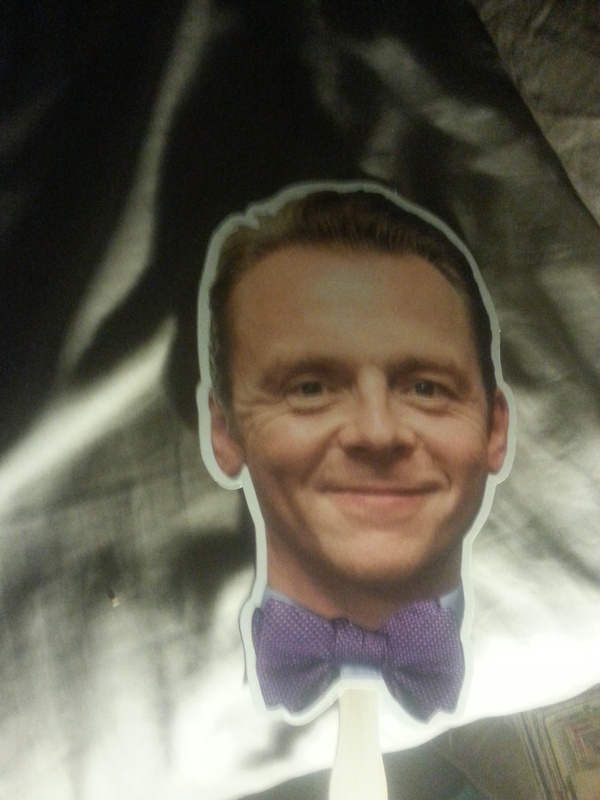 Fun little Pegg on a Stick given to us at theatre screening.. aka it’s a fan! Based on French psychiatrist François Lelord’s best-selling novel of the same name, Pegg plays “Hector” our dissatisfied protagonist of the movie, who is a seemly stuck in the rut of a never and I mean NEVER, changing everyday life with his live~in girlfriend “Clara” (Rosamund Pike) who literally does everything for him. He seems to like it this way and really doesn’t want it to change so he says. You hear stories about people like this, a wounded bird of sorts who can’t do anything for themselves. 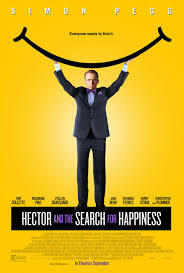 Hector though, is a psychiatrist who realizes his methods are not helping his quirky patients in the least, and so embarks on a trip around the world in a bid to discover the secret of happiness to be able to help his patients also find this hidden gem of life. Among the destinations Hector jaunts too are Shanghai, where he meets “Ying Li” (Ming Zhao) with whom he almost cheats on Clara with, but as he spent the only night he had with her sleeping, it didn’t happen and he finds out her time isn’t exactly free. 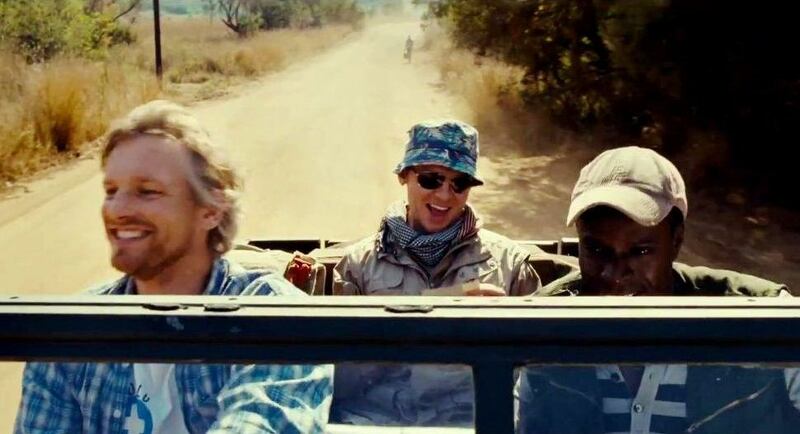 Onward to the Himalayas & meeting up with monks, then onto Africa to meet up with an old friend “Michael” (Barry Atsma) and in a so not even semi-plausible sequence, meets up with a big time dealer “Diego Baresco” (Jean Reno) who also saves his life when he is captured by the rebels..yes you read that correctly..captured by rebels I mean..ZZZZzzzzzzz.. it is possibly one of the most ridiculous, completely unbelievable sequence of events I’ve ever seen in a movie this year. Director Peter Chelsom does well to capture the essence & energy of the various locales ~ noting here that the filming of some of these places is really beautiful and if nothing else the aesthetics in movie are mostly impressive, all the more so when you consider the films tight budget. As for the film’s relatable messages, well I guess the bulk of them could pretend to hit home, though the heavy-handed manner in which they are executed leaves much to be desired. Sadly, it’s not the only problem in the unfocused screenplay. This is exemplified in the final act; Hector’s (TADA!!) ~ ultimate realization is extremely sudden and feels like it comes out of nowhere. To paraphrase Clara, Hector’s girlfriend, “you have to build to it”.Pike makes good use of her screen time but she is severely underused throughout the film and you wonder why she is sticking around waiting while never really getting anything. from it. Pegg is known more for his comedy chops than his dramatic acting, but here the focus is on the latter. Though the actor proves up to the task in the emotional moments and does his best to give Hector some likability, as written our protagonist is too immature and self-indulgent to inspire much empathy. 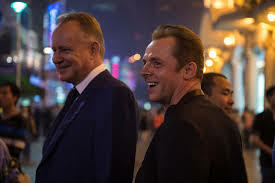 A supporting cast that includes Stellan SkarsgMǻrd as “Edward” the suave & sophisticated business man who takes Hector out for the whirlwind evening in Shanghai, the wonderful Christopher Plummer as “Professor Coreman” and Toni Collette once again playing an American role as Hector’s long unrequited love from days gone past, “Agnes” are always going to class up a mediocre film and they are enjoyable enough in their roles, but there is really little cohesiveness on what their characters musings on happiness really are. The screenplay really isn’t as profound as it thinks it is or tries to be and disappoints more than impresses but in an odd way it’s got a sweetness about it that I normally don’t fall for in a movie but maybe it’s because I think I liked a bit of the message it does tell or the fact that I’m a big believer in traveling as much as your life allows you too and experiencing life through other peoples eyes and cultures. I didn’t hate this movie completely, though none of it is as particularly funny as I thought or hoped it would be, or even touching for that matter in it’s message. Those pursuing true happiness need not apply, but those content with mild entertainment will probably be satisfied.